The big news in comics this week was the acquisition of Valiant Entertainment by DMG Entertainment. I am not sure that anyone expected this move, but it appears that Dan Mintz, who already owned 57% of Valiant, bought out the remaining portion with grand plans to leverage the diverse cast of characters from the Valiant universe for cinematic adaptation. Mintz, not one to rest on his laurels, also mentioned potential plans for expansion in publishing, gaming and even theme parks. While we will see Valiant on the big screen in the near future and gaming seems a natural fit, I am not sure there is demand for a Valiant theme park quite yet. 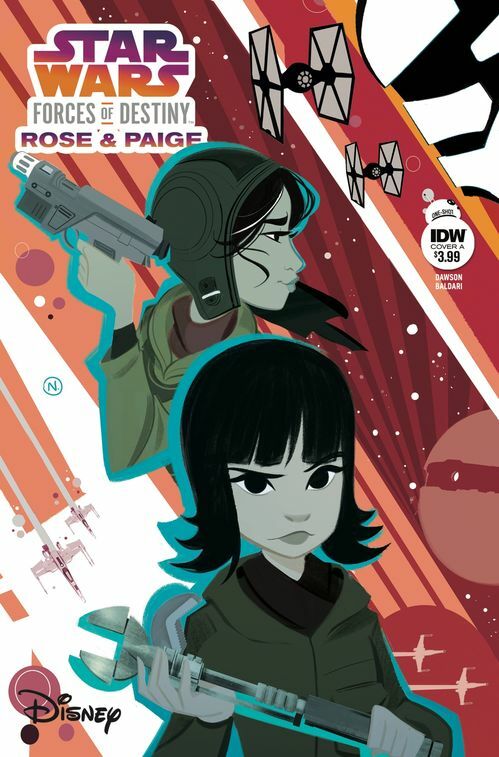 Star Wars Forces of Destiny: Rose and Paige - Despite Rose not being as fully developed as she could have been in The Last Jedi, this one-shot provided some valuable insight into the relationship she had with her sister Paige. Featuring the best art of this series thus far, thanks to the extremely talented Nicoletta Baldari, this book reads like an animated Disney film and it is an absolute delight. The dynamic between the sisters is a lot of fun and it is cute to see how Paige attempts to boost Rose's self-esteem and encourages her not to be so shy. Definitely makes me view her first few scenes in a different light. Doctor Aphra #16 - I enjoyed the direction this series took this week even though this issue was an absolute trip. It was a bizarre issue that featured the awakening of a worm god from an age of horror. The moments of terror provided by this beast actually allowed to adversaries to accept their mutual attraction of each other and provide another wrinkle in this saga. 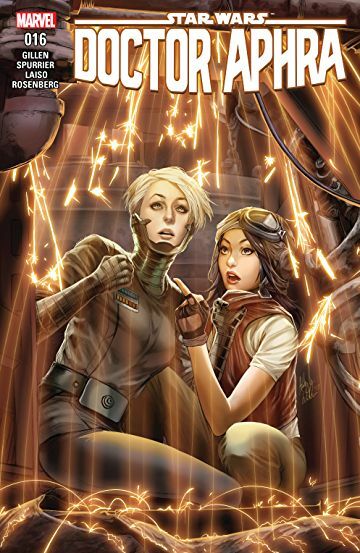 It looks as if Imperial Inspector Tolvan will be joining Aphra as the two women attempt to recover Triple-Zero's memories. 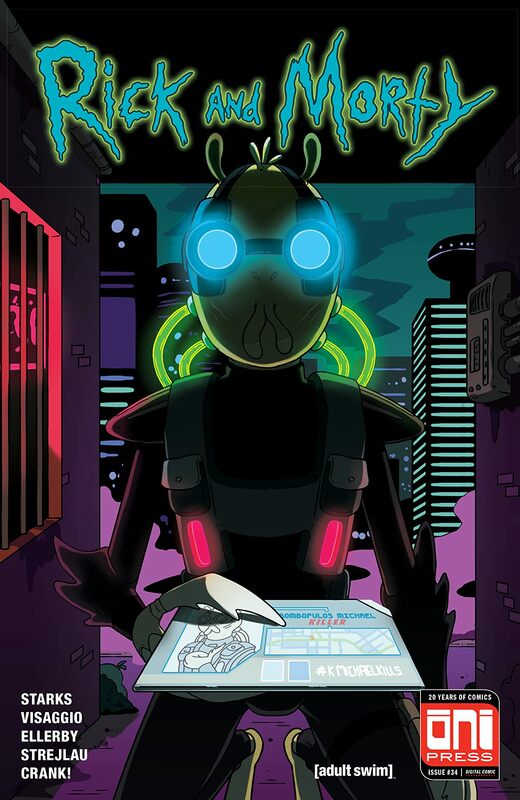 Rick and Morty #34 - Since season 4 might be over a year away, if you are looking for a Rick and Morty fix the comics have been quite good. This issue featured the backstory of Krombopulos Michael and was quite entertaining. Man that dude loves to kill and it was really neat to see his relationship with Rick prior to Morty. While I haven't been a huge fan of all of the issues, if you are a Rick and Morty fan you owe it to yourself to pick up this book.